The Governing Board employs several officers to manage its duties, including Chairperson (held by the current Moderator of MCC), Vice-Chairperson, Secretary, and Treasurer. REV. VICTORIA L. BURSON has served in many leadership capacities and brings a wealth of experience with her along with a passion for people and MCC mission. Rev. Burson’s leadership abilities include supervision and advisor for nursing students on the campus of El Centro College in Texas, and student development coordinator and student associate leader at Tarrant County College in Texas. She was an Elder, Assistant Pastor, and Director of Internal Ministries at Living Faith Covenant Church. Rev. Burson was also an Image Consultant/Life Coach for VLB Enterprise and currently serves as Administrator for Essentials Unleashed, a non-profit organization which provides leadership and empowerment coaching. Rev. Burson received her certification as a Professional Coach, C.P.C. Rev. Burson is the Senior Pastor at MCC Baltimore, Baltimore, Maryland, USA, and previously served as an Associate Pastor at Cathedral of Hope & Executive Assistant to the Senior Pastor, Dallas, Texas, USA. 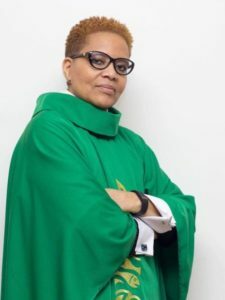 She has been a presenter General Conference and PAD Conference, and has been a pastor and mentor for The Fellowship of Affirming Ministries’ (TFAM) with Project Access. I am a ‘Same-Gender Loving’ woman who identifies as a Black (African -America) woman. I have been involved with several LGBTQIA initiatives around diversity/inclusion and social justice issues, the most recent being the Freddie Gray unrest in Baltimore. I have also served in the Student Government Association, Black Seminarians Union leadership team, and campus student chaplain. REV. MIAK SIEW has served as the executive pastor for Free Community Church, Singapore, since September 2011. 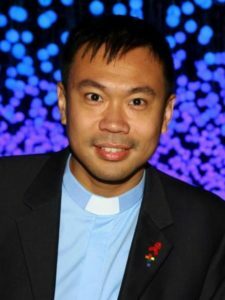 He was a member of the Organizing Committee of the Amplify Conference, and a speaker at the International Consultation on Church and Homophobia held at Jakarta Theological Seminary, November 2014. He was also a speaker at South and Southeast Asian Churches’ Responses to Issues of Human Sexuality and Gender Minorities, January 2017. Rev. Siew is a member of EQARS, Emerging Queer Asian Religious Scholars, and a member of Movement Affirming Pluralism, an interfaith group in Singapore for progressive individuals. Rev. Siew is a founding member of PLU – People Like Us, the LGBT Advocacy Group in Singapore; founding member and coordinator for ADLUS – Adventurers Like Us, the LGBT Outdoor and Sports group; co-organizer of IndigNation – the Singapore LGBTQ Pride festival from 2006-2009 and 2011-2013; Student Representative of the Presidential Search Committee of Pacific School of Religion; 2010 Student Representative for the Racial Justice Working Group for Pacific School of Religion; 2008-2011 Acting Chairperson / Treasurer of the CAPSR Council (Student Council of Pacific School of Religion). Rev. Siew has been a member of the Asia Ministry Development Team since 2014, and a team lead for the Asia Ministry Development Team / Emerging Church Coordinator for Asia since 2015. Rev. Siew was ordained at New Spirit Community Church, Berkeley, August 2011. 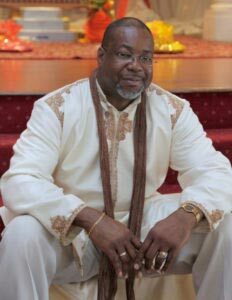 DR. DAVID L. WILLIAMS is currently serving as the Interim Pastoral Leader of MCC Christ the Liberator (CTL) since December 1, 2016. He has led multiple HIV/AIDS and Spirituality support groups at local churches. Dr. Williams has been a MCC CTL member for the past 10.5 years, and has been a CTL board member from 2012 to the present serving in various positions at different junctures. In his professional life, Dr. Williams has attained increased levels of responsibility from mid-level management to senior director. He separated from military service as field grade officer (Lieutenant Colonel). As a member of Christ the Liberator MCC, Dr. Williams has served on the Board of Directors as a member, clerk, treasurer, and vice-moderator. Dr. Williams is currently serving as the Program Officer for the MCC Health & Wellness and HIV/AIDS Working Group, and a member of the Governing Board Assessments Commission. Dr. Williams was also on the MCC PAD Conference Planning Committee. Rev. Onetta Brooks, California, USA, is proficient in governance and years of experience in MCC’s General Conference Business Meetings, Bylaws, and the Governing Board Nominating Committee. Onetta was appointed to serve on the Governing Board in October 2018 until General Conference July 2019. Previously, Onetta served as a consultant to the Governance Committee from March-October 2018. Onetta was elected to serve on MCC’s Governing Board from 2010-2016. Onetta was ordained in UFMCC in January 2007. She worked professionally for various aerospace companies as program manager/systems engineer/software engineer for 34 years. 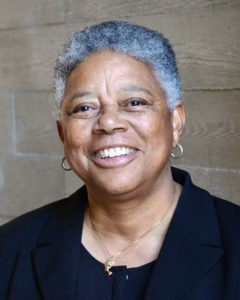 Onetta earned her Master of Divinity from San Francisco Theological Seminary, Southern California; Master of Public Administration from California State University, Dominquez Hills; and Bachelor of Arts, Major in Mathematics, from Pomona College. Onetta attends Founders MCC in Los Angeles, California, USA..
Marsha Warren, Texas, USA, offers expertise in finances as a professional auditor and assessments. 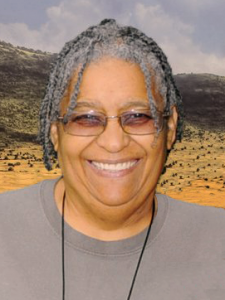 Marsha attends MCC San Antonio, in San Antonio, Texas, USA, and will continue her work on the MCC Finance Committee.